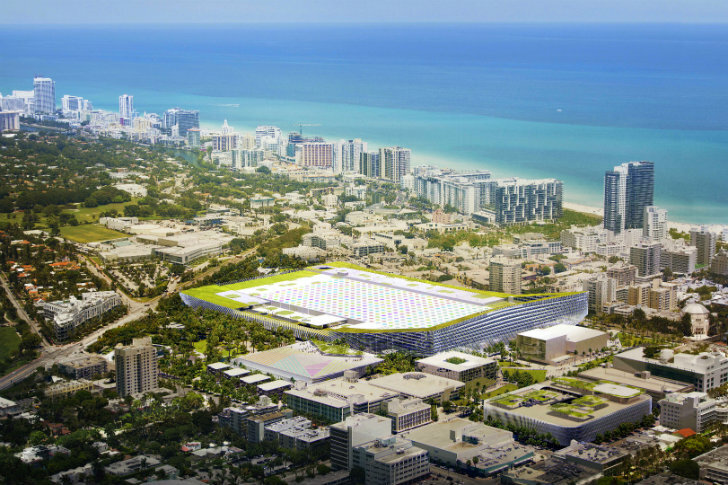 As it stands now, the <a href="http://www.miamibeachconvention.com/" target="_blank">Miami Beach Convention Center</a> is the antithesis of the vibrant and lush city that surrounds it. But that's about to change. 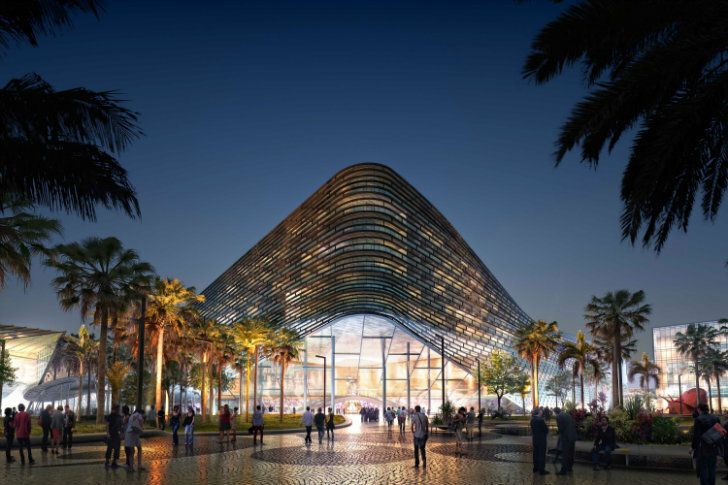 The convention center is home to the annual <a href="http://www.artbaselmiamibeach.com/" target="_blank">Art Basel Miami</a> show and it will soon be a work of art in itself once <a href="http://www.big.dk/">Bjarke Ingels Group (BIG)</a> completes a massive renovation project. 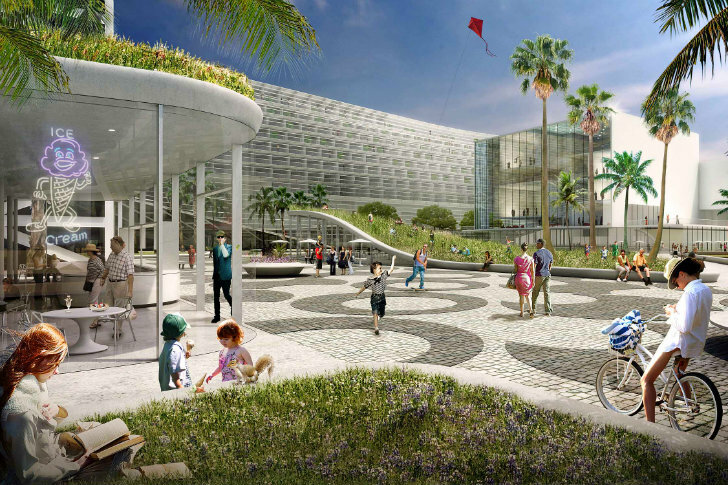 The 52-acre site will be completely overhauled to create Miami Beach Square -- a lively, pedestrian-friendly space that will include mixed-use amenities and lots of green landscaping. 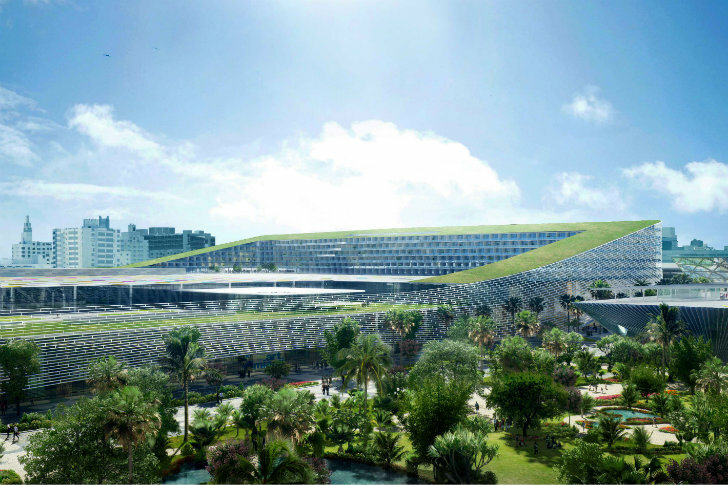 The rooftop of the new convention center will feature a sprawling <a href="https://inhabitat.com/tag/green-roof" target="_blank">green roof</a> that will double as a canvas on which works of art will be displayed. 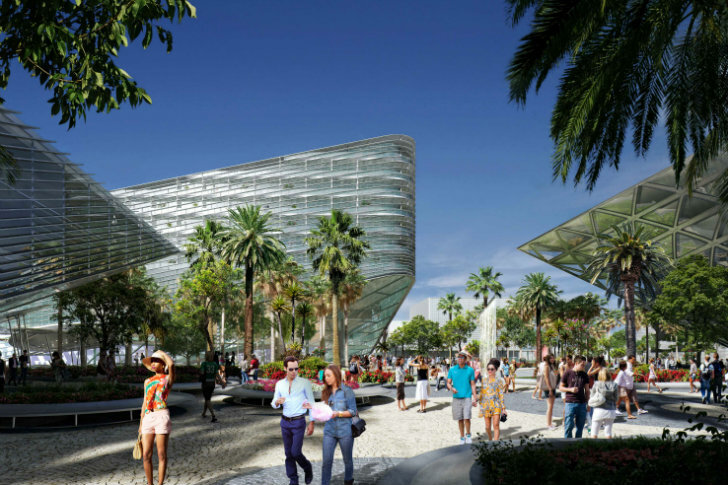 The goal of the new convention center and surrounding support areas is to bring Miami Beach to the convention center, including the cool shade of tropical trees, art deco styling, human-scaled architecture, and pedestrian-friendly streets. 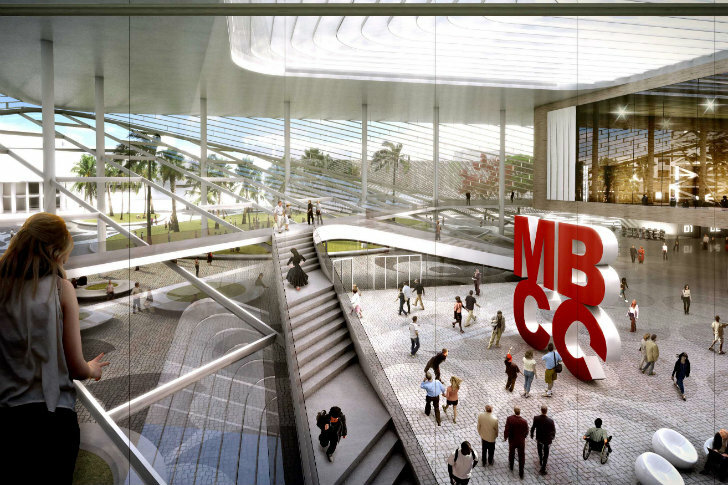 Miami Beach Square will act as front door to the convention center, the convention hotel, and act as a front lawn to the revitalized <a href="http://fillmoremb.com/" target="_blank">Jackie Gleason Theatre</a>, Miami Beach City Hall, and the red carpet for the big botanical ball room. Gardens, courtyards and tree-lined avenues will create a welcoming and pleasant place for visitors and residents. 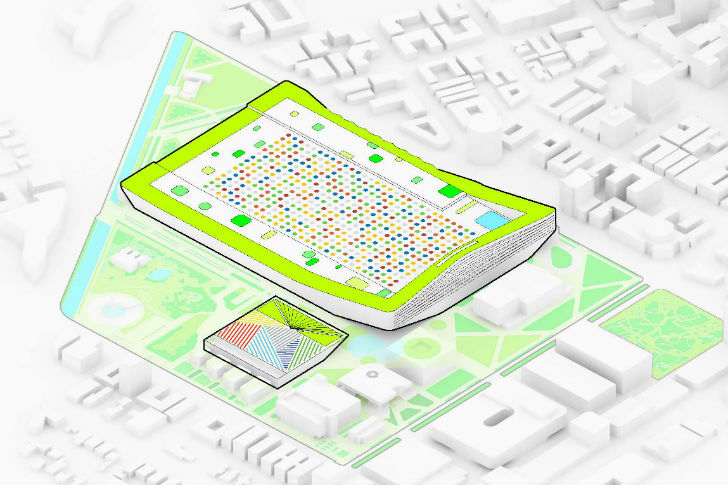 “We have devised a strategy that combines urban planning and landscape design to create a neighborhood characterized by human scale, pedestrian connections, shaded spaces with public oriented programs lining the streets and squares," <a href="http://www.big.dk/#projects-mbs" target="_blank">explains</a> Bjarke Ingels, Creative Director BIG. 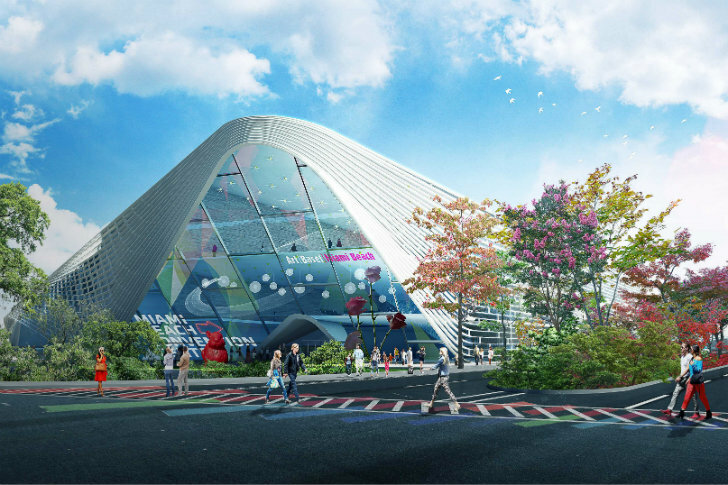 The new Convention Center will become a more vibrant expression of architecture and the city with a glass-faceted exterior detailed with shading extrusions. Inside, the urban block will contain a hotel, restaurants, exhibition space, and even a rooftop pool and lounge area. Daylighting inside the exhibition hall will flood the space from rooftop skylights. 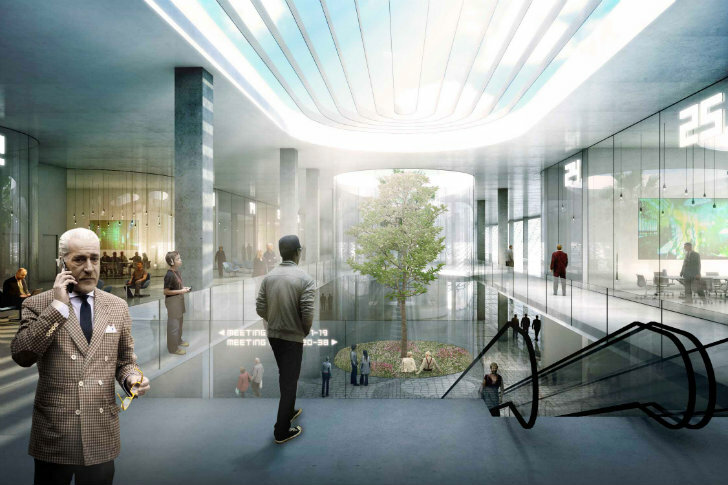 A green roof will encircle the entire building offering up a promenade with view. The roof itself will serve as a canvas for a new work of art every year, which will be viewable from the roof as well as surrounding buildings throughout the city. 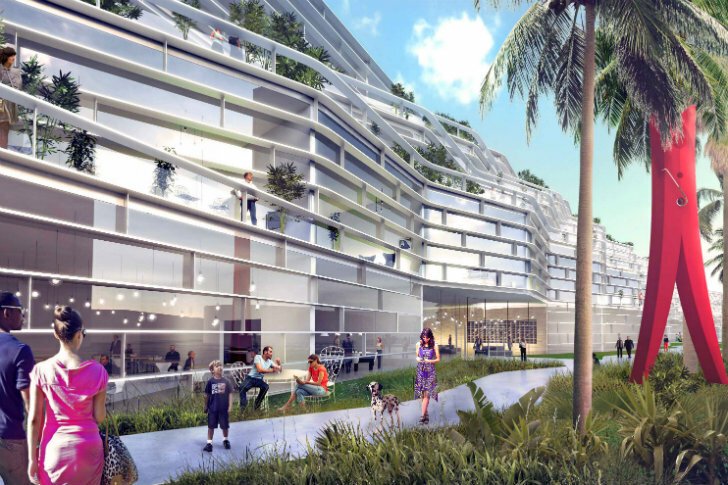 BIG is working together with <a href="http://www.west8.nl/" target="_blank">West 8</a>, <a href="http://www.fentressarchitects.com/" target="_blank">Fentress</a>, JPA and developers Portman CMC to create Miami Beach Square as the centerpiece of their 52 acre Convention Center. Exterior programming for the new convention center. 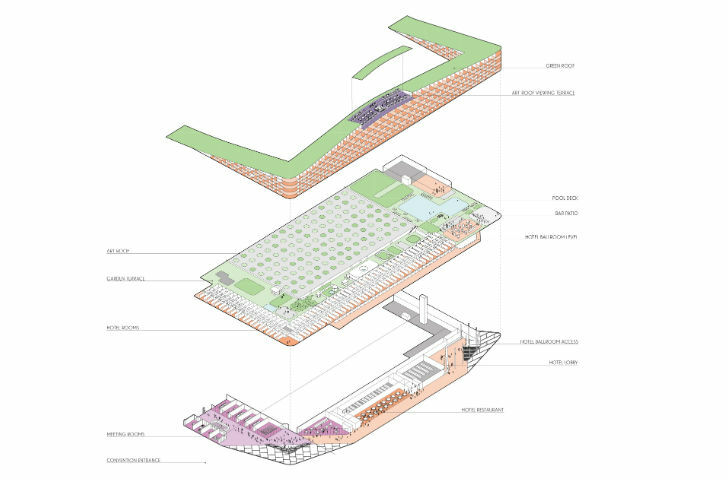 Site plan and diagram of the new convention center. As it stands now, the Miami Beach Convention Center is the antithesis of the vibrant and lush city that surrounds it. But that's about to change. 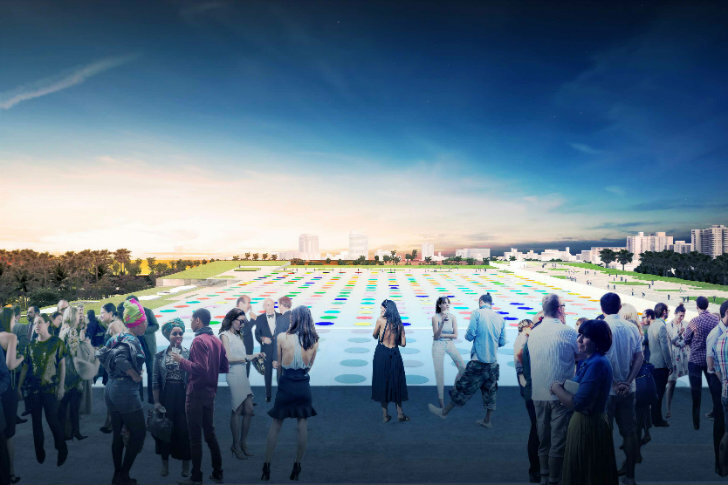 The convention center is home to the annual Art Basel Miami show and it will soon be a work of art in itself once Bjarke Ingels Group (BIG) completes a massive renovation project. 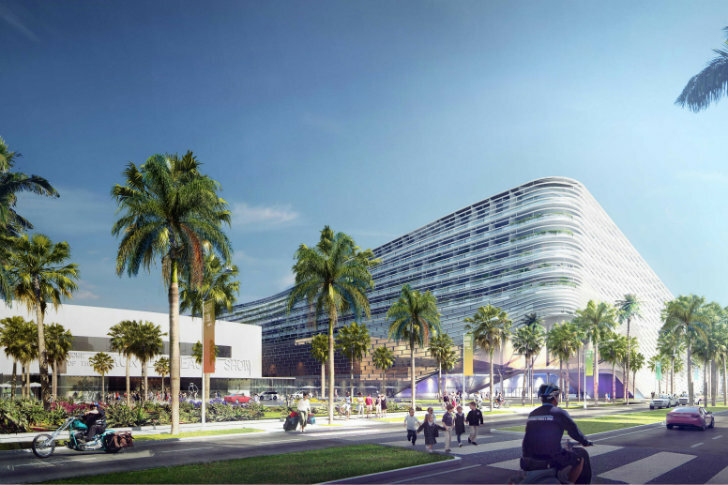 The 52-acre site will be completely overhauled to create Miami Beach Square -- a lively, pedestrian-friendly space that will include mixed-use amenities and lots of green landscaping. 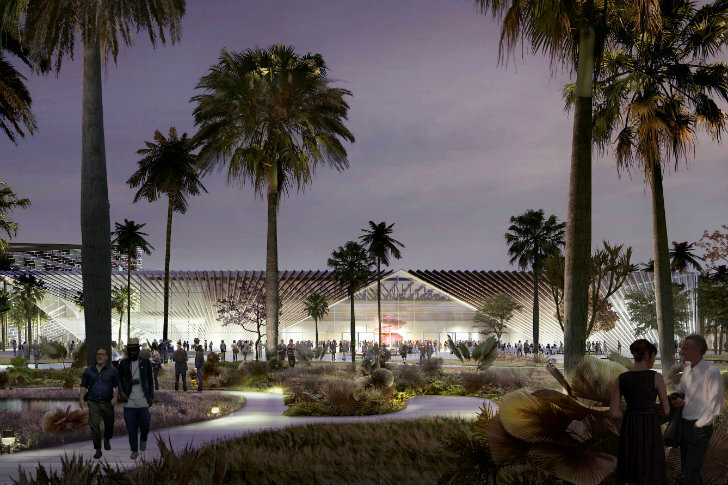 The rooftop of the new convention center will feature a sprawling green roof that will double as a canvas on which works of art will be displayed.